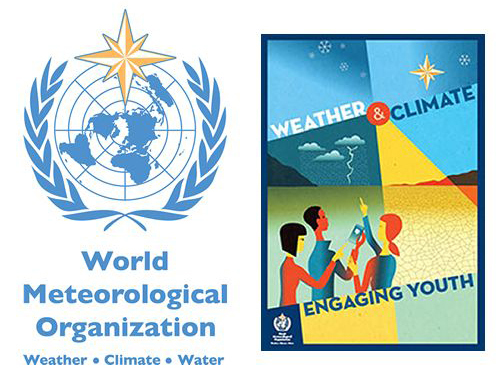 The United Nations’ (UN) World Meteorological Day is annually held on or around March 23 to remember the World Meteorological Organization’s establishment on that date in 1950. Many different activities and events are organized for this occasion. The day also highlights the huge contribution that National Meteorological and Hydrological Services make to the safety and well-being of society. The International Meteorological Organization was established at the first International Meteorological Congress in Vienna, Austria, in 1873. The organization aimed to establish meteorological station networks. These networks were linked by telegraph and improved weather forecasts. This contributed to shipping services’ safety and efficiency. The International Meteorological Organization became the World Meteorological Organization on March 23, 1950. It became the UN’s specialized agency for meteorology, operational hydrology and related geophysical sciences in 1951. The day commemorates the World Meteorological Organisation’s convention, and in previous years events have included presentations on the weather and climate, preventing natural disasters and sustainable development – all very important issues. The World Meteorological Organization plays a crucial role in contributing to people’s safety and welfare. Its work is important in providing food security, water resources and transport. World Meteorological Day has been observed on March 23 each year since 1961. Weather, climate and the air we breathe (2009). Observing our planet for a better future (2008). Polar meteorology: Understanding global impacts (2007). Preventing and mitigating natural disasters (2006). Weather, climate, water and sustainable development (2005). Weather, climate, water in the information age (2004). A new theme is allocated to each different year for World Meteorological Day.